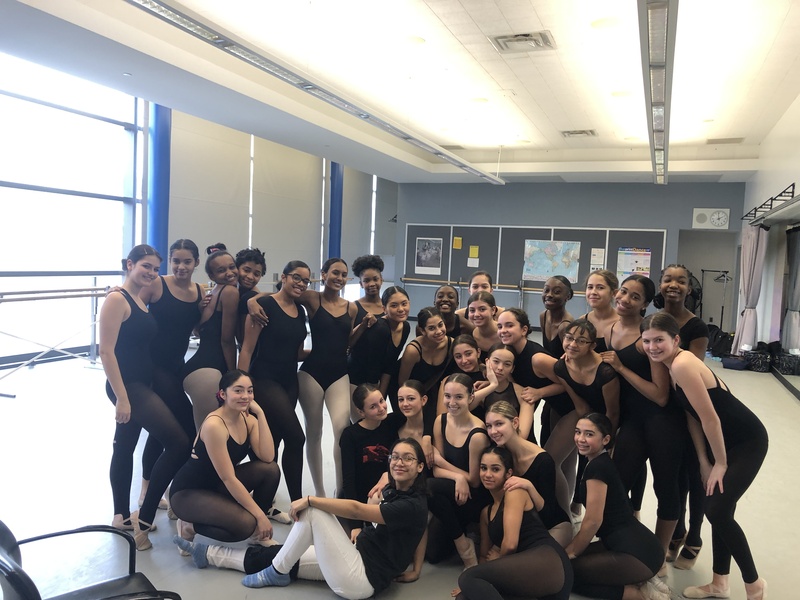 As the first semester of the 2018-2019 school finishes at Frank Sinatra School of the Arts (FSSA) everyone seems to be busy doing something. Seniors are finishing up applying to colleges, juniors are working hard to keep their grades up, sophomores are lavishing in their sophomoritis, but what are freshmen up to? The transition between middle school and high school is a daunting one when you’re a middle schooler. But it isn’t as hard as it looks. Despite attending different middle schools and coming from different parts of NYC, freshmen can agree on one thing, high school is a lot better than middle school. “I feel like the people here are nicer, you can make friends a lot easier and the teachers are a lot friendlier,” says Shiley Kruvi, a freshman who attended Wagner Middle School in Manhattan. Scarlette Hashimoto, a freshman who attended Community Roots Charter School in Bed Stuy, agrees and enjoys the drama-free environment that Sinatra provides. “I think high school is better for me in some ways because in my middle school was really small so all the drama was more consolidated. Here, there is less drama partially because there are more people and everyone kinda is paying attention to themselves and not meddling in other people’s business,” Scarlette said. Freedom is also something that comes with high school. Leaving the format of seeing the same kids every day, in high school you now travel to classrooms every time the bell rings and see different kids every period. There are varying opinions on homework. Since everyone came from different middle schools, level of preparation for high school is different for every student. “It’s [high school] definitely more advanced at the beginning of the year. I struggled a little bit to get on the track of high school and out of the middle school mindset.” Shiley says. Homework load has definitely increased for some students compared to their middle school. “I only had like a half hour of homework, but now I think I have like an hour to two hours of homework,” Scarlette emphasizes. Maria LaRosa, a freshman who attended P.S. I.S. 49, also agrees. She says that material-wise her middle school prepared her for high school, but not homework-wise like in terms of test taking. Even though homework has increased, things that are taught to freshmen are similar to what they learn in middle school, making the transfer between middle and high school more seamless. Many freshmen are very impressed with FSSA’s unique ability to allow you to major in an art form. Katheryn Ramirez who attended School of the Future in Manhattan says she likes FSSA because she believes it focuses a lot on your major and what you came here to do. FSSA proves that you can be able to balance your art form with your academic and rediscover your passion for your specific art form. Scarlette perfectly states how many of us felt before attending FSSA. “I didn’t think I was going to [like my major] cause I was kinda unsure if going to an arts school would ruin my major for me but I think if anything, it made it more fun for me,” she said.